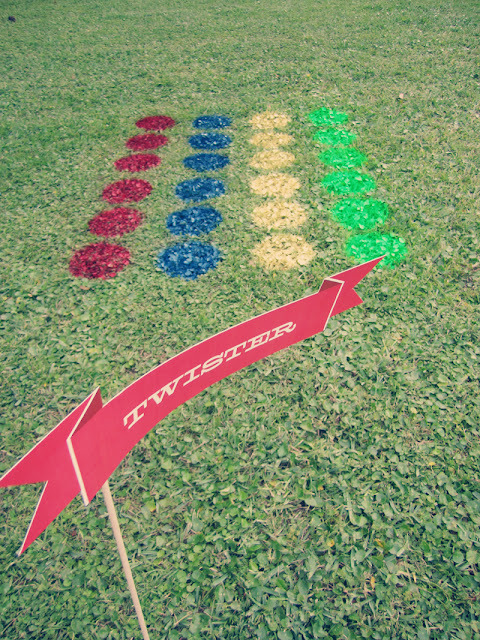 Your 4th of July Barbecue just got a lot more fun with this DIY Lawn Twister game. A little spray paint and you can have a twister board that is big enough for everyone to play at once! You can check out Lawn Twister and the rest of this fun party over at You + Me. Incredible idea. I wish I had a lawn.